We did it! Just days after we launched our campaign asking Boohoo to take a stand against angora, the online retailer has today agreed to implement a permanent ban on the cruelly obtained product – all thanks to your messages. After more than 10,000 compassionate people wrote to Boohoo's CEO this weekend, the company had to listen. 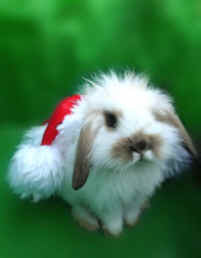 Thank you for being part of this victory and giving a fantastic Christmas present to bunnies. Have a wonderful festive season, and please, never stop speaking up for animals!